USAC welcomes students, faculty and staff to our Open House where light refreshments will be served. USAC staff will be on hand to talk with students about their opportunities to study abroad. A presentation from our Costa Rican program staff WILL BEGIN AT 1PM. 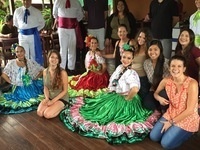 Learn about our programs in Costa Rica and how you can get involved!